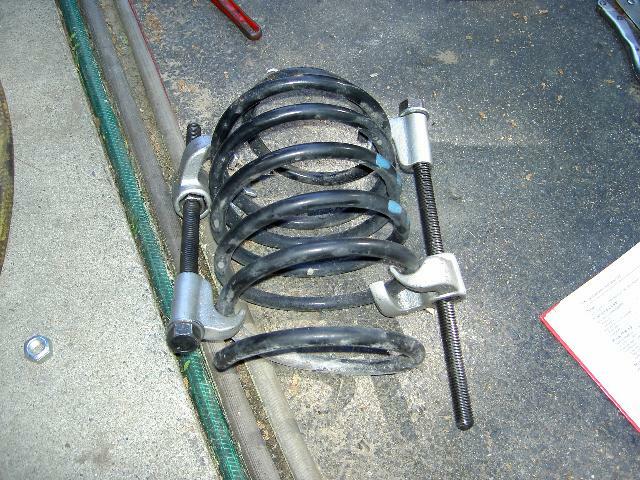 If your car is bouncy on the highway, there is a good chance that you need new front struts. The rear shocks seem to last forever with these cars! This job is pretty easy and can be done in one half day in your driveway. The only special tool you will need is the spring compressor. I bought a $20 one from an online supplier. It worked okay, but the compressor mounts did slip down the spring rather easily which caused a big headache trying to tighten the compressor down. The next time I attempt this job, I will try to find something to can grip the spring better to prevent slipping or just tape the compressor to the spring!